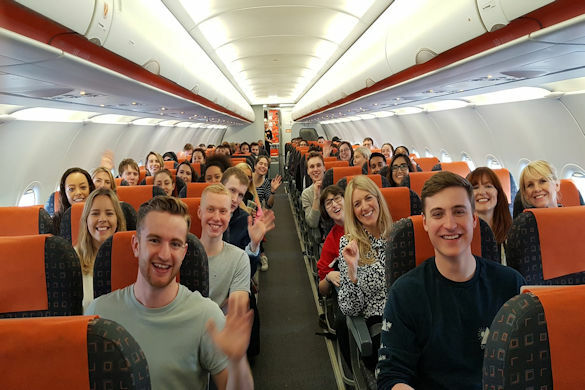 A group of 24 University of Liverpool students visited Amsterdam last month with the Careers and Employability Service to take part in the Amsterdam Sustainable Business Challenge. 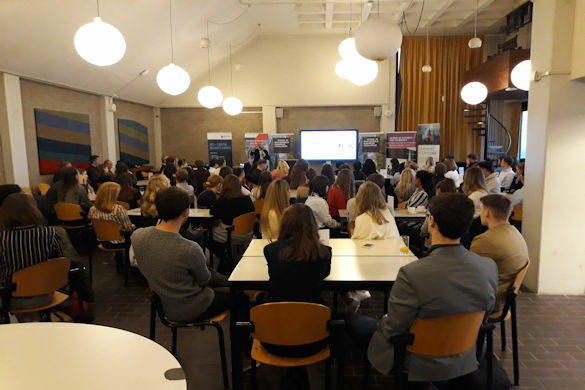 Hosted by Amsterdam inbusiness, the event welcomed 100 students from four different institutions – Liverpool, Groningen University, Newcastle University and Vrije Universiteit Amsterdam. The intensive three-day event saw the students work together to come up with a solution to a global business challenge. After an introduction to the event and the challenge they would face, the students had to work out a solution, before developing this into a business pitch for the competition finale. They were supported throughout the challenge by 16 industry experts from companies including IBM, Santander, KPMG, Adidas and PwC. The event culminated in a pitch competition, which saw a raft of innovative solutions presented. The winning idea was a sustainability monitoring reward app that businesses could use to incentivise staff to embed sustainability ideas at work and in their local community.